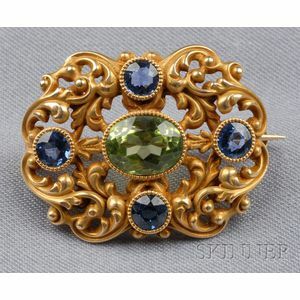 Antique 14kt Gold Gem-set Brooch, Durand & Co. 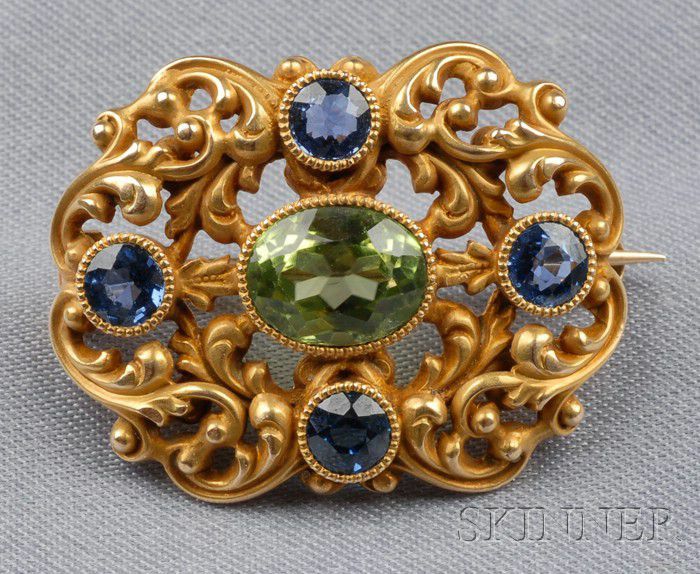 Antique 14kt Gold Gem-set Brooch, Durand & Co., bezel-set with an oval-cut peridot and circular-cut sapphires, within a scrolling leafy frame, lg. 1 1/8 in., maker's mark.